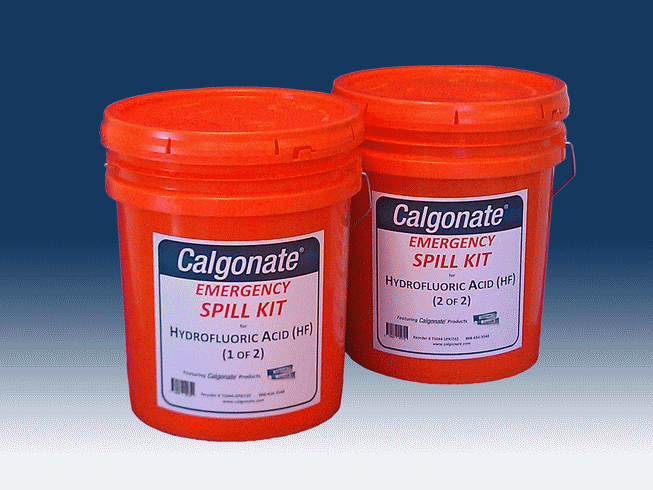 All Spill Kits include Calgonate® Calcium Gluconate Gel. Notes: Both sizes available in the USA. 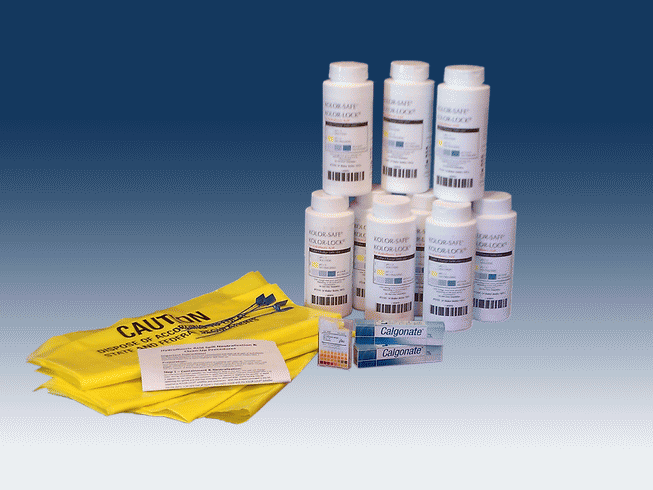 "Per-Person" Spill Kits also available for delivery in Canada. 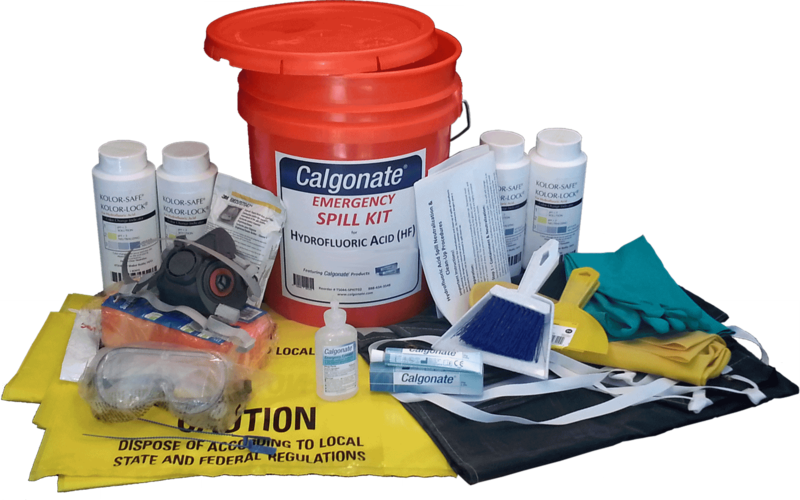 This single 5-gallon bucket contains the personal protection equipment and supplies for one person to safely neutralize and dispose of a hydrofluoric acid spill at your facility. 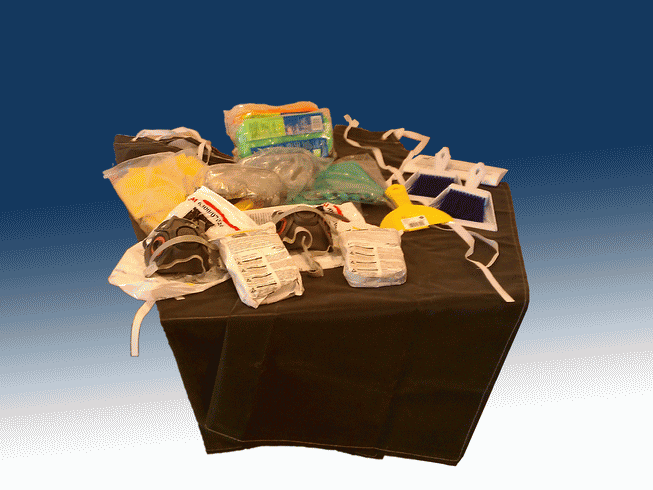 Click here for PPE and additional HF Safety items. 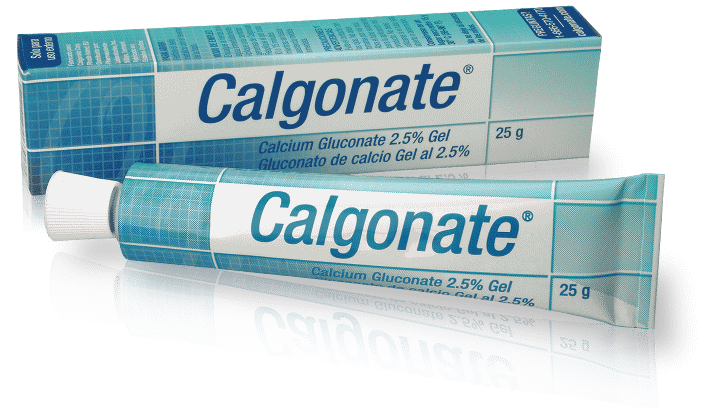 * Calgonate® Emergency Eyewash is currently out of stock. 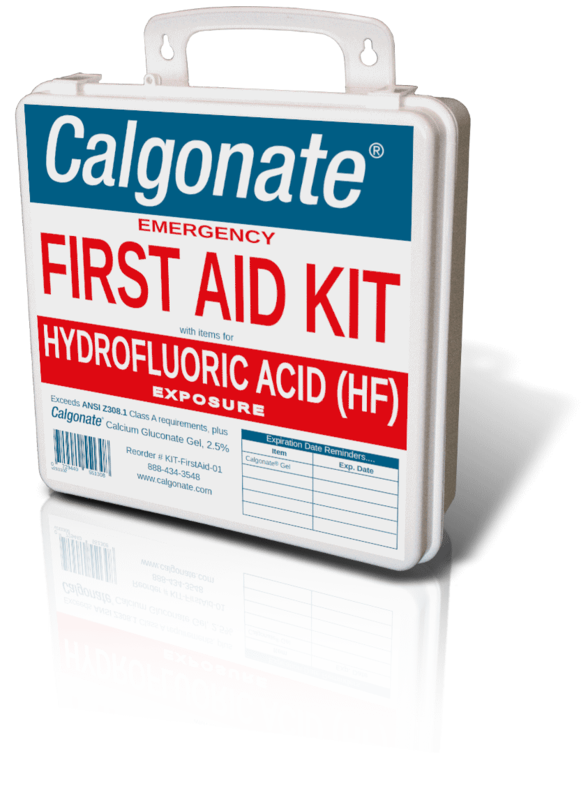 Purchase of any Calgonate® Kit now will include a generic eyewash substitute. This kit consists of 2 bright 5-gallon buckets, containing personal protection equipment for 2 people and the products to neutralize and clean up hydrofluoric acid spills.